“And when ye reap the harvest of your land, thou shalt not wholly reap the corners of thy field, neither shalt thou gather the gleanings of thy harvest. And thou shalt not glean thy vineyard, neither shalt thou gather every grape of thy vineyard; thou shalt leave them for the poor and stranger: I am the Lord your God” – Leviticus 19:9-10. “Thou shalt not avenge, nor bear any grudge against the children of thy people, but thou shalt love thy neighbour as thyself: I am the Lord” – Leviticus 19:18. “Divers weights, and divers measures, both of them are alike abomination to the Lord” – Proverbs 20:10. Fair business dealing is a moral issue and cannot be sidestepped by Christians as irrelevant to them simply because these scriptures were directed to the Israelites. God was describing a situation where people sell the chaff with the grain to get undeserved profit. In today’s manufacturing economy, that would be like selling defective products along with good ones. In sane climes, companies embark on recall of entire lines of products once they are discovered to pose danger to consumers or to be ineffective. Yet ever so often, especially in countries where regulations are not properly enforced, people buy well packaged goods only to get home and discover they are substandard or nonfunctional (they should have been trashed by the companies’ Quality Control units). As a result, many know very well the pain of feeling defrauded. However, the highlighted part of v. 6 above can be understood in a broader context beyond the commercial one explained above. One of my pastors once said that whatever you do for a living is your business. If you get your livelihood from the educational sector, teaching could be your business. If you’re in the health sector, tending the sick as a doctor or a nurse could be your business. When we have this understanding, we can see the relevance of this scripture to us. Are we offering quality service at our duty posts or are we negligent of our duties? We hear stories of (and perhaps we have seen) teachers who spend more time talking about their personal lives than teaching their subjects. Selling the sweepings with the wheat! We hear of patients who are unattended for hours upon hours by hospital staff who are not overstretched. Selling the sweepings with the wheat! The Bible in the book of Colossians says that whatever we do as believers should be done as unto the Lord (Colossians 3:23). When teachers are in training, they do what is called teaching practice. They are assigned to a school where they spend some time putting into effect what they have learned. At some point in this exercise, supervisors from their institutions come to evaluate their performance. Expectedly, they put their best foot forward on such occasions. But when they get their certificates, they may not always discharge their duties with the same passion and dedication. What a difference it would make if they thought that God was watching them teach! And He is! Whatever our jobs, how much more committed and painstaking we would be if we realised we are answerable to God for how we perform and not just to our human superiors! Take a look at that passage in Colossians earlier cited. “23. And whatsoever ye do, do it heartily, as to the Lord, and not unto men; 24. Knowing that of the Lord ye shall receive the reward of the inheritance: for ye serve the Lord Christ” – Colossians 3:23-24. So, pastor, when you tell many stories from your travels without feeding the flock under you with the regenerative word of God, remember that rebuke from Amos. When you, civil servant, give people the runaround before responding to their routine requests, you are selling the sweepings with the wheat. We must offer quality in the service and goods others get from us. It doesn’t matter how many people we are attending to or their status. In other words, we should put on our best show whether our students, parishioners or clients are few or many, whether they are highly placed or not. Remember you’re putting on a display for the God of the universe. So always give nothing but your best! And as far as it rests with you, let each person you serve officially leave with satisfaction. This reminds me of the biblical account of the life of Daniel the prophet. Although he was a Jewish exile in Babylon, he worked so well that he was promoted to the royal court and was set above most of the high officials of the empire. This sparked envy among them and they conspired to pull him down but they couldn’t. Why? Although they entrapped him with a charge unrelated to work and had him thrown into the lions’ den, God rescued him and the lions ate up his detractors and their families on the orders of the king (Daniel, chapter 6). I want to humbly share a relevant example from my own job. For some of my classes with graduate students that are taken by few students, we usually meet in my office. But I teach as heartily as though I was facing hundreds of students in a hall. And even if I can’t touch everything on the course outline due to time constraints, I ensure, by God’s grace, that the students learn enough to know what each course is about and can hopefully give a good account of themselves in that area. Why am I doing this? I can say they are graduate students and just give them a bunch of assignments without teaching anything. But I know that God is watching, the students paid to learn something new and they would be disappointed if I threw everything back to them without making an honest effort to take them beyond where they were before we met. Assignments can complement what I have offered them and even in seminar courses, I still have a duty to provide guidance to ensure the experience prepares them for their future researches. Otherwise, I’ll be selling sweepings in place of wheat. I believe that when we do our jobs like this, someone is bound to notice sooner or later. But even if people do not acknowledge us, God will and His commendation is priceless! Forgive me, dear Lord, in every way I’ve been selling the sweepings with the wheat in my dealings with others. 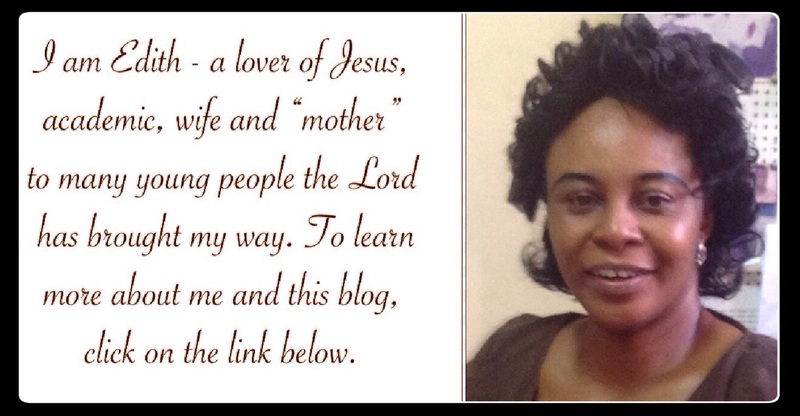 Help me to honour You in every business transaction I make, whether I am selling products or services in Jesus’ name. “… it is required in stewards, that a man be found faithful” – Corinthians 4:2. “Whatsoever thy hand findeth to do, do it with thy might …” – Ecclesiastes 9:10. “Don’t work only while being watched, as people-pleasers, but as slaves of Christ, do God’s will from your heart” – Ephesians 6:6 (CSB). New International Version (NIV) Copyright © 1973, 1978, 1984, 2011 by Biblica. The Christian Standard Bible. Copyright © 2017 by Holman Bible Publishers. Used by permission. The Message (MSG) Copyright © 1993, 1994, 1995, 1996, 2000, 2001, 2002 by Eugene H. Peterson. In all I do, oh Lord, help me to offer quality. God bless you, ma! Amen and God bless you too in Jesus' name. Thanks for reminding me again, ma, that God is interested in the quality of service I render where I find myself. 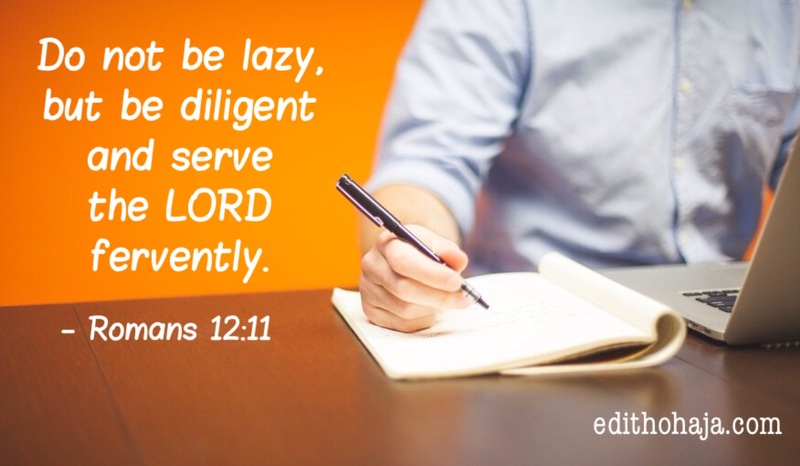 It is a scriptural and moral obligation that I must observe. Thank you Ma for having such a good conscience. Some do not bother about this. This is a devotional people need to read. In our relationship and services to others we must try as much as possible to offer quality services to others considering the fact that we are not actually working for man but for God and He will reward us accordingly. I believe that whatever is worth doing is worth doing well. You are lifted in Jesus' name. I have always worked with all my heart as unto the Lord. I want my Savior to say, "Well done, my good and faithful servant." Best attitude, Susan! Worthy of emulation. A bouquet of blessings to you in Jesus' name. 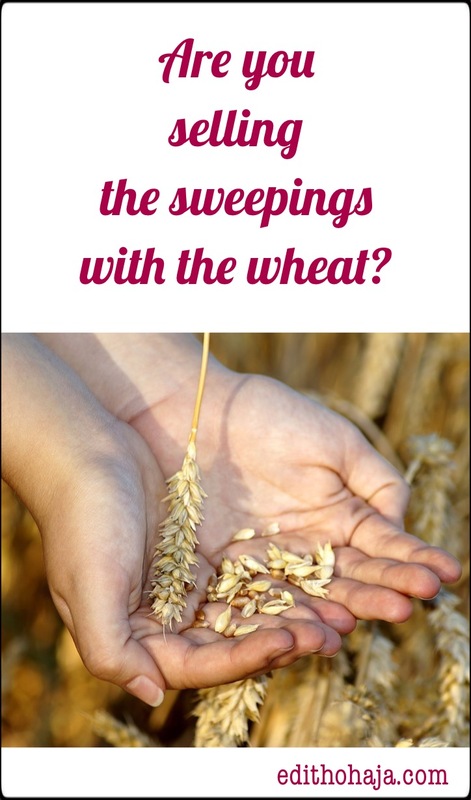 I think there are many reasons people resort to trading sweepings instead of the wheat. In the course of gathering the harvest, one may erroneously gather the chaff and the wheat to sell. I really do not think it is wrong. In application to daily life, sometimes we don't give our best for very genuine reasons such as failure in health, bodily weakness. For instance, I may walk into my office and refuse to attend to patients because I am ill. Even if I try, I may not give my best owing to my own health. A casual onlooker who sees patients unattended to may judge that I am selling sweepings unaware that I am ill. Beyond giving our best, I think the Lord is concerned about the motive for trading sweepings. Offering poor quality for THE SAKE OF MAKING PROFIT was God's focus. We are limited as humans, but in our limitations God is interested in the spirit and motive of my limitations. You're right, Amara. We are limited and God understands our weaknesses. It's the deliberate slacking and cheating we're talking about. Bless you! Sometime in my 20's the verse about doing all to the glory of God sunk in for me. Was I working well or wasting time. Now I am intentional to give every task to God. That is good to know, Tiffany! May God multiply grace upon us to serve Him faithfully always in Jesus' name. Well said Ma!! In all our dealings with you Lord always make us remember ur word n follow it accordingly. Amen and amen. You are lifted, my dear, in Jesus' name. "selling even the sweepings with the wheat" I really wish Standard Organization of Nigeria would read this post and the passage and act more. I pray God helps me not sell chaffs with the grain in my own BUSINESS. Thank you for this exposition. Thank you Ma for this post. Many people don't know that offering quality service is important and good. Some people cheat their customers by giving them less quality goods, while some refuse to offer quality services to their clients and they think they are doing the right thing. I pray that God will forgive them and make them know the essence of offering quality services to people. Many a times have I been cheated in the market. And I keep asking; what will this business cheaters stand to gain? Even the bible in the book of proverbs condemned cheating. They never think of what they will face in hell. Nice one!! Let us learn and begin to discharge our duties effectively no matter how insignificant we consider them to be. We must do this bearing in mind that God has called us for that purpose and that we will be blessed richly by him(even if humans don't appreciate our efforts).